I've started playing around with Google's Cloud Platform recently and one of the first things I wanted to do was to secure my app's static pages so they could be delivered over HTTPS. 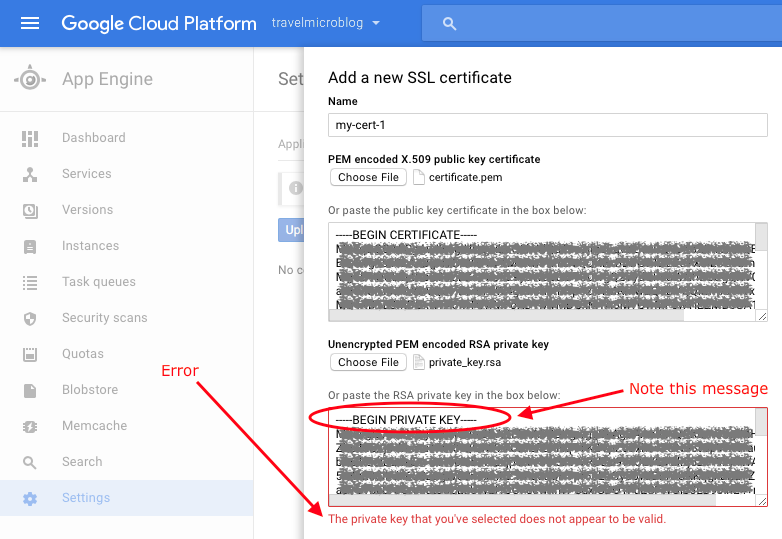 This meant that I needed to upload my certificate and private key to Google. I went ahead and generated my key as usual and I thought I had an RSA key already, but Google didn't seem to like it. This was the error I was getting - "The private key that you've seleted does not appear to be valid." Now after loading the second, converted, RSA key, Google accepted it without error!